Deluxe 8×8 dog boarding suite with elevated bed, fleece mat and automatic waterer. Includes 3 private potty walks daily. Exit bath complimentary after 4 nights of boarding. 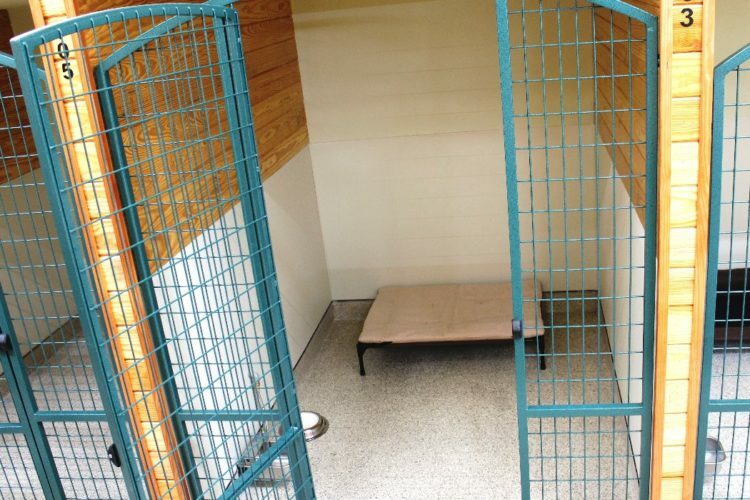 If desired, up to 3 dogs from the same family can board together in this suite. $75 per pet per night. 2nd and/or 3rd pets in the same suite receive the family discount of 10% off. Additional Discounts available for extended stays. Deluxe 6×8 dog boarding suite with elevated bed, fleece mat and automatic waterer. Includes 3 private potty walks daily. Exit bath complimentary after 4 nights of boarding. If desired, 2 dogs from the same family can board together in this suite. 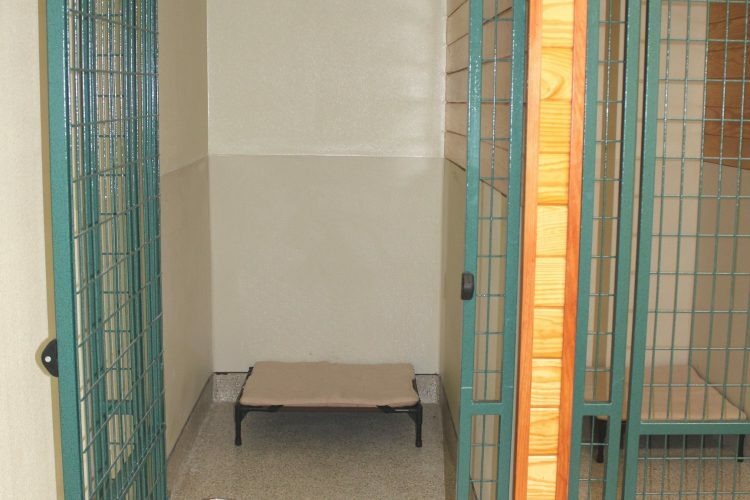 $52 per pet per night. 2nd pet in the same suite receives the family discount of 10% off. Additional Discounts available for extended stays. 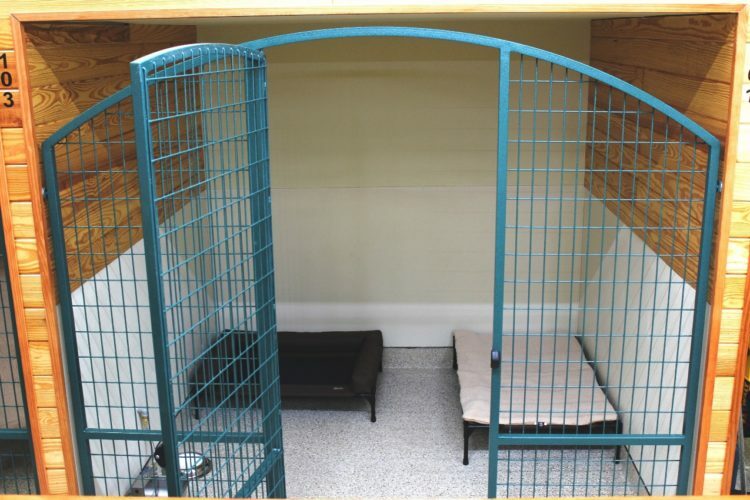 Deluxe 4×8 dog boarding suite with elevated bed, fleece mat and automatic waterer. Includes 3 private potty walks daily. Exit bath complimentary after 4 nights of boarding. If desired, 2 dogs from the same family can board together in this suite. $40 per pet per night. 2nd pet in the same suite receives the family discount of 10% off. Additional Discounts available for extended stays. 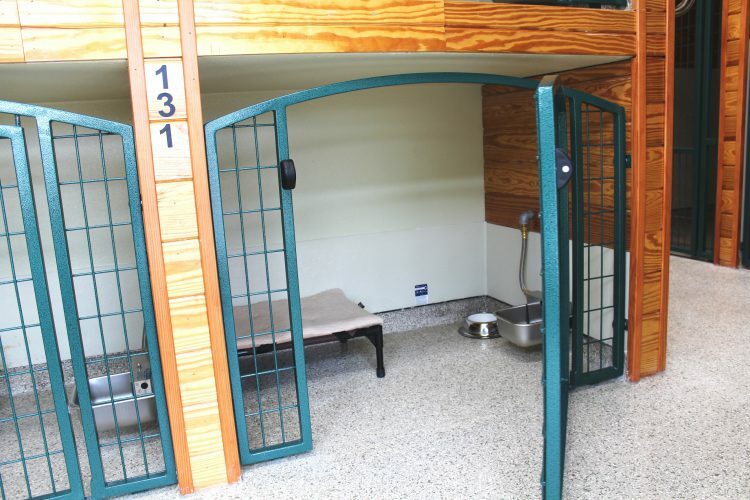 Deluxe 3×4 Private Boarding Suite for small dogs only (suggested weight maximum 25-30 lbs). Elevated bed with fleece mat and automatic waterer. Includes 3 private Potty Walks daily. Exit bath complimentary after four nights of boarding. $28 per night. Discounts available for extended stays. 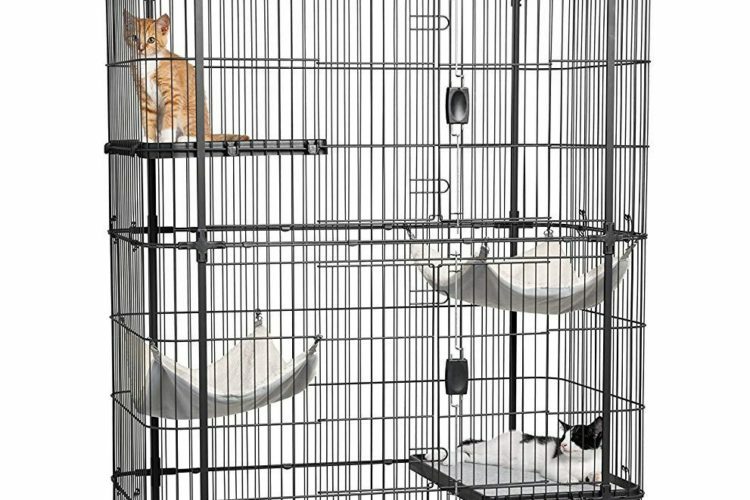 Premium Cat Condo with 4 Levels is a safe haven for your cat or cats to play and rest. Deluxe kitty condo. 44″ x 25″ x 66″ tall. Paw friendly design – no gaps or pinch points. Two super soft plush hammocks plus two platforms with felt covers are provided for your cat’s sleeping and lounging pleasure. If desired, 2 cats from the same family can board together in this suite. $20 per kitty per night. 2nd pet in the same condo receives the family discount of 10% off. Discounts available for extended stays.